Former Head of State, Yakubu Gowon, says there is nothing wrong with restructuring the country provided it is done within one Nigeria context. 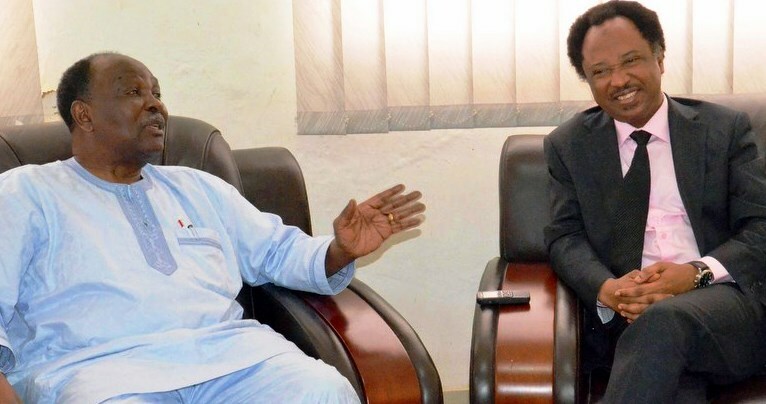 Mr. Gowon said this when Shehu Sani, the Vice-Chairman, Senate Committee on Foreign Affairs, paid him a courtesy visit in Abuja on Wednesday. Reacting to calls by some Nigerians to restructure the country, Mr. Gowon said there was nothing wrong with restructuring. He recalled that Nigeria was restructured under his leadership as the head of state with the creation of states in 1967. “We can restructure within one Nigeria context. I did it in 1967; we created states to stop eastern Nigeria from seceding. “We had to do something to ensure the fear of their seceding did not exist; a serious issue of a part of the country wanting to breakaway when we already lost a part to Cameroon. “If we had allowed the eastern region to go away, the map of Nigeria would have looked funny; it would have been tilted one way. “So, we decided overnight to break the fear through the creation of states. If we had to save the country that was the only way to do it. “We also ensured that no state was too big or too small to threaten the unity of the country,’’ he said. Mr. Gowon, in 1967, announced the creation of 12 states, namely, North-Western, North-Eastern, Kano and North-Central states. Others are, Benue-Plateau, Kwara, Western, Lagos, Mid-Western, Rivers (a South-Eastern state), East-Central and East-Central states. The former head of state added that the call for true federalism by some Nigerians was also not a bad idea, as long as it was done within the context of the nation’s unity. “What is true federalism? As long as it means respect for oneness of our country, it is alright, but if it means to breakaway, it is not my way of thinking’’, he said.